Magnesium positively influences the bone mineral matrix and its ability to metabolize minerals needed for repair and rebuilding.25,26 Scientific literature documents the need for a wide range of minerals, including calcium and magnesium, that are vital to maintaining strong, healthy bones. Since magnesium is so inexpensive, everyone should consider supplementing with at least 500 mg of magnesium daily. Magnesium Caps provides one of the highest concentrations of elemental magnesium per capsule available on the market. Other ingredients: vegetable cellulose (capsule), microcrystalline cellulose, stearic acid, silica, citric acid. Experiencing a heart attack or stroke because of a simple magnesium deficiency does not need to happen. 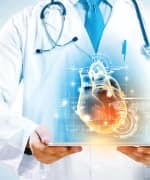 In this article we provide important information to protect yourself from unnecessary cardiac events. In one study, 13 women consumed an experimental diet low in magnesium.17 Three of the women (23%) developed arrhythmias (atrial fibrillation and atrial flutter), in which the upper pumping chambers of the heart lose their normal beating pattern, and four (31%) had to begin magnesium repletion by supplementation earlier than scheduled. These are exciting results for a condition in which the medical establishment has struggled to find adequate treatment. Your body relies on ample magnesium supplies to maintain normal, healthy function of muscle and nerve tissue, especially those found in the heart and blood vessels. 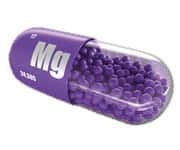 Inadequate magnesium intake, or deficiency in total body magnesium, increases the risk of cardiovascular diseases such as heart attacks, strokes, and arrhythmias, as well as metabolic syndrome and type II diabetes. Restoring magnesium supplies through supplementation is proven to reduce cardiovascular disease and to potentially reverse many of the troubling signs of metabolic syndrome and diabetes. 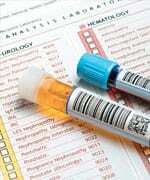 People with higher blood levels and intakes of magnesium appear to live longer, succumbing less often to heart disease and other causes of premature death. Beginning a regular magnesium supplement today may lengthen your life and lower your risk of some of the biggest killers of older adults. Preliminary research shows that magnesium is an absolute requirement for maintaining and repairingtelomeres, the “aging timers” that are found on our DNA strands.64 Without sufficient magnesium, the aging process itself might be drastically accelerated. Raising your blood levels of magnesium, then, appears to have the potential to save your life, especially if you are already at risk for heart disease or stroke. Increased losses of magnesium, either through the digestive tract or in the urine, can occur with severe diarrhea, gastrointestinal fistulas (surgical or pathological connections between the intestinal tract and the outside world), and especially from drug therapy with diuretics and antibiotics such as gentamicin. Since so many people drink bottled or filtered water, have otherwise inadequate magnesium intakes, or are taking magnesium-depleting drugs, it is important to get regular tests of your blood magnesium levels, and to supplement with a good source of this vital mineral. Magnesium is an element critical to multiple vital functions in the human body, yet even people interested in optimizing their nutritional health frequently ignore it. Low magnesium levels trigger problems in the heart muscle, blood vessel walls, and blood vessel linings that can lead to heart attacks, heart failure, atherosclerosis, and cardiac arrhythmias. Magnesium deficiency also contributes to metabolic syndrome and type II diabetes, two epidemic conditions that themselves lead to cardiovascular disease and other chronic, age-related conditions. But nearly half of all Americans (and more than that among the elderly) fail to get enough magnesium in their diets, and therefore have suboptimal blood levels of this vital mineral. Magnesium supplementation is an easy, inexpensive, and effective way to restore magnesium to your whole body, and studies show that boosting your magnesium levels sooner rather than later offers the best protection. Indeed, people with the highest blood levels of magnesium, and/or the highest dietary intake of magnesium, are at lower risk for dying of both cardiac and noncardiac conditions. If you are an older adult concerned about the possibility of a premature death from cardiovascular or metabolic diseases, you should begin a regular magnesium supplement today. Available at: http://www.cdc.gov/nchs/fastats/leading-causes-of-death.htm. Accessed June 23, 2014. Geiger H, Wanner C. Magnesium in disease. Clin Kidney J. 2012; 5(Suppl 1), i25-i38. Del Gobbo LC, Imamura F, Wu JH, de Oliveira Otto MC, Chiuve SE, Mozaffarian D. Circulating and dietary magnesium and risk of cardiovascular disease: a systematic review and meta-analysis of prospective studies. Am J Clin Nutr. 2013 Jul;98(1):160-73. Cunha AR, Umbelino B, Correia ML, Neves MF. Magnesium and vascular changes in hypertension. Int J Hypertens. 2012;2012:754250. Weglicki WB, Mak Iu T, Chmielinska JJ, Tejero-Taldo MI, Komarov AM, Kramer JH. The role of magnesium deficiency in cardiovascular and intestinal inflammation. Magnes Res. 2010 Dec;23(4):S199-206. Dominguez LJ, Barbagallo M, Lauretani F, et al. Magnesium and muscle performance in older persons: the InCHIANTI study. Am J Clin Nutr. 2006;84(2):419-26. Mert T, Gunes Y, Guven M, Gunay I, Ozcengiz D. Effects of calcium and magnesium on peripheral nerve conduction. Pol J Pharmacol. 2003 Jan-Feb;55(1):25-30. Barbagallo M, Belvedere M, Dominguez LJ. Magnesium homeostasis and aging. Magnes Res. 2009 Dec;22(4):235-46. Altura BM, Shah NC, Shah GJ, et al. Short-term Mg deficiency upregulates protein kinase C isoforms in cardiovascular tissues and cells; relation to NF-kB, cytokines, ceramide salvage sphingolipid pathway and PKC-zeta: hypothesis and review. Int J Clin Exp Med. 2014;7(1):1-21. Adamopoulos C, Pitt B, Sui X, Love TE, Zannad F, Ahmed A. Low serum magnesium and cardiovascular mortality in chronic heart failure: a propensity-matched study. Int J Cardiol. 2009 Aug 21;136(3):270-7. Gao X, Peng L, Adhikari CM, Lin J, Zuo Z. Spironolactone reduced arrhythmia and maintained magnesium homeostasis in patients with congestive heart failure. J Card Fail. 2007 Apr;13(3):170-7. Ganga HV, Noyes A, White CM, Kluger J. Magnesium adjunctive therapy in atrial arrhythmias. Pacing Clin Electrophysiol. 2013 Oct;36(10):1308-18. Available at: http://www.nhlbi.nih.gov/health/health-topics/topics/arr/. Accessed July 17, 2014. Iezhitsa, IN. Potassium and magnesium depletions in congestive heart failure--pathophysiology, consequences and replenishment. Clin Calcium. 2005;15(11): 123-33. Najafi M, Haghighat B, Tafti HA. Relationship between serum magnesium level and arrythmias following post-coronary artery bypass grafting. Middle East J Anesthesiol. 2007 Oct;19(3):661-72. Nielsen FH, Milne DB, Klevay LM, Gallagher S, Johnson L. Dietary magnesium deficiency induces heart rhythm changes, impairs glucose tolerance, and decreases serum cholesterol in post menopausal women.J Am Coll Nutr. 2007 Apr;26(2):121-32. Agus ZS. Hypomagnesemia. J Am Soc Nephrol. 1999;10:1616-22. Classen HG, Grober U, Kisters K. Drug-induced magnesium deficiency. Med Monatsschr Pharm. 2012 Aug;35(8):274-80. Shechter M. Magnesium and cardiovascular system. Magnes Res. 2010 Jun;23(2):60-72. Lee HY, Ghimire S, Kim EY. Magnesium supplementation reduces postoperative arrhythmias after cardiopulmonary bypass in pediatrics: a metaanalysis of randomized controlled trials. 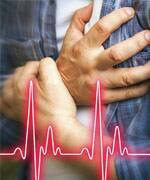 Pediatr Cardiol.2013 Aug;34(6):1396-403. Orenes-Pinero E, Montoro-Garcia S, Banerjee A, Valdes M, Lip GY, Marin F. Pre and post-operative treatments for prevention of atrial fibrillation after cardiac surgery. Mini Rev Med Chem. 2012 Nov;12(13):1419-31. Chiuve SE, Korngold EC, Januzzi JL, Jr., Gantzer ML, Albert CM. Plasma and dietary magnesium and risk of sudden cardiac death in women. Am J Clin Nutr. 2011 Feb;93(2):253-60. Davey MJ, Teubner D. A randomized controlled trial of magnesium sulfate, in addition to usual care, for rate control in atrial fibrillation. Ann Emerg Med. 2005 Apr;45(4):347-53. Besogul Y, Aslan R. Oral magnesium prophylaxis provides spontaneous resumption of cardiac rhythm in patients undergoing cardiac surgery. J Int Med Res. 2009 Mar-Apr;37(2):318-24. Falco CN, Grupi C, Sosa E, et al. Successful improvement of frequency and symptoms of premature complexes after oral magnesium administration. Arq Bras Cardiol. 2012 Jun;98(6):480-7. Chakko S, de Marchena E, Kessler KM, Myerburg RJ. Ventricular arrhythmias in congestive heart failure.Clin Cardiol. 1989 Sep;12(9):525-30. Ozono R, Oshima T, Matsuura H, et al. Systemic magnesium deficiency disclosed by magnesium loading test in patients with essential hypertension. Hypertens Res. 1995 Mar;18(1):39-42. Available at: http://www.nhlbi.nih.gov/health/health-topics/topics/hbp. Accessed on July 17, 2014. Joosten MM, Gansevoort RT, Mukamal KJ, et al. Urinary magnesium excretion and risk of hypertension: the prevention of renal and vascular end-stage disease study. Hypertension. 2013 Jun;61(6):1161-7. Jin K, Kim TH, Kim YH, Kim YW. Additional antihypertensive effect of magnesium supplementation with an angiotensin II receptor blocker in hypomagnesemic rats. Korean J Intern Med. 2013 Mar;28(2):197-205. Rodriguez-Moran M, Guerrero-Romero F. Hypomagnesemia and prehypertension in otherwise healthy individuals. Eur J Intern Med. 2014 Feb;25(2):128-31. Rasic-Milutinovic Z, Perunicic-Pekovic G, Jovanovic D, Gluvic Z, Cankovic-Kadijevic M. Association of blood pressure and metabolic syndrome components with magnesium levels in drinking water in some Serbian municipalities. J Water Health. 2012 Mar;10(1):161-9. Cocco G, Iselin HU, Strozzi C, Cesana B, Baumeler HR. Magnesium depletion in patients on long-term chlorthalidone therapy for essential hypertension. Eur J Clin Pharmacol. 1987;32(4):335-8. Kass L, Weekes J, Carpenter L. Effect of magnesium supplementation on blood pressure: a meta-analysis. Eur J Clin Nutr. 2012 Apr;66(4):411-8. Rosanoff A, Plesset MR. Oral magnesium supplements decrease high blood pressure (SBP>155 mmHg) in hypertensive subjects on anti-hypertensive medications: a targeted meta-analysis. Magnes Res. 2013 Jul-Sep;26(3):93-9. Purvis JR, Cummings DM, Landsman P, et al. Effect of oral magnesium supplementation on selected cardiovascular risk factors in non-insulin-dependent diabetics. Arch Fam Med. 1994 Jun;3(6):503-8. 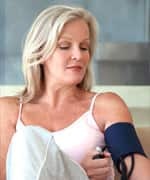 Available at: http://www.mayoclinic.org/diseases-conditions/left-ventricular-hypertrophy/basics/causes/con-20026690. Accessed July 17, 2014. Freeman LM, Brown DJ, Smith FW, Rush JE. Magnesium status and the effect of magnesium supplementation in feline hypertrophic cardiomyopathy. Can J Vet Res. 1997 Jul;61(3):227-31. Reffelmann T, Ittermann T, Dorr M, et al. Low serum magnesium concentrations predict cardiovascular and all-cause mortality. Atherosclerosis. 2011 Nov;219(1):280-4. Wu G, Tian H, Han K, Xi Y, Yao Y, Ma A. Potassium magnesium supplementation for four weeks improves small distal artery compliance and reduces blood pressure in patients with essential hypertension. Clin Exp Hypertens. 2006 Jul;28(5):489-97. Pokan R, Hofmann P, von Duvillard SP, et al. Oral magnesium therapy, exercise heart rate, exercise tolerance, and myocardial function in coronary artery disease patients. Br J Sports Med. 2006 Sep;40(9):773-8. Lasserre B, Spoerri M, Moullet V, Theubet MP. Should magnesium therapy be considered for the treatment of coronary heart disease? II. Epidemiological evidence in outpatients with and without coronary heart disease. Magnes Res. 1994 Jun;7(2):145-53. Turgut F, Kanbay M, Metin MR, Uz E, Akcay A, Covic A. Magnesium supplementation helps to improve carotid intima media thickness in patients on hemodialysis. Int Urol Nephrol. 2008;40(4):1075-82. Mortazavi M, Moeinzadeh F, Saadatnia M, Shahidi S, McGee JC, Minagar A. Effect of magnesium supplementation on carotid intima-media thickness and flow-mediated dilatation among hemodialysis patients: a double-blind, randomized, placebo-controlled trial. Eur Neurol. 2013;69(5):309-16. Evangelopoulos AA, Vallianou NG, Panagiotakos DB, et al. An inverse relationship between cumulating components of the metabolic syndrome and serum magnesium levels. Nutr Res. 2008 Oct;28(10):659-63. Kikuchi K, Tanaka H, Gima M, et al. Abnormalities of magnesium (Mg) metabolism and therapeutic significance of Mg administration in patients with metabolic syndrome, type 2 diabetes, heart failure and chronic hemodialysis. Clin Calcium. 2012 Aug;22(8):1217-26. Rodriguez-Moran M, Guerrero-Romero F. Oral magnesium supplementation improves insulin sensitivity and metabolic control in type 2 diabetic subjects: a randomized double-blind controlled trial. Diabetes Care. 2003 Apr;26(4):1147-52. Song Y, He K, Levitan EB, Manson JE, Liu S. Effects of oral magnesium supplementation on glycaemic control in Type 2 diabetes: a meta-analysis of randomized double-blind controlled trials. Diabet Med. 2006 Oct;23(10):1050-6. Lal J, Vasudev K, Kela AK, Jain SK. Effect of oral magnesium supplementation on the lipid profile and blood glucose of patients with type 2 diabetes mellitus. J Assoc Physicians India. 2003 Jan;51:37-42. Shechter M, Saad T, Shechter A, Koren-Morag N, Silver BB, Matetzky S. Comparison of magnesium status using X-ray dispersion analysis following magnesium oxide and magnesium citrate treatment of healthy subjects. Magnes Res. 2012 Mar 1;25(1):28-39. Mooren FC, Kruger K, Volker K, Golf SW, Wadepuhl M, Kraus A. Oral magnesium supplementation reduces insulin resistance in non-diabetic subjects - a double-blind, placebo-controlled, randomized trial.Diabetes Obes Metab. 2011 Mar;13(3):281-4. Nagai N, Ito Y. Effect of magnesium ion supplementation on obesity and diabetes mellitus in Otsuka Long-Evans Tokushima Fatty (OLETF) rats under excessive food intake. J Oleo Sci. 2013;62(6):403-8. Huang JH, Lu YF, Cheng FC, Lee JN, Tsai LC. Correlation of magnesium intake with metabolic parameters, depression and physical activity in elderly type 2 diabetes patients: a cross-sectional study.Nutr J. 2012;11:41. Rayssiguier Y, Libako P, Nowacki W, Rock E. Magnesium deficiency and metabolic syndrome: stress and inflammation may reflect calcium activation. Magnes Res. 2010 Jun;23(2):73-80. Weglicki WB. Hypomagnesemia and inflammation: clinical and basic aspects. Annu Rev Nutr. 2012 Aug 21;32:55-71. Xu J, Xu W, Yao H, Sun W, Zhou Q, Cai L. Associations of serum and urinary magnesium with the pre-diabetes, diabetes and diabetic complications in the Chinese Northeast population. PLoS One.2013;8(2):e56750. Shaikh S, Karira KA. Magnesium deficiency in heart failure patients with diabetes mellitus. J Pak Med Assoc. 2011 Sep;61(9):901-3. Lima Mde L, Cruz T, Rodrigues LE, et al. Serum and intracellular magnesium deficiency in patients with metabolic syndrome-evidences for its relation to insulin resistance. Diabetes Res Clin Pract. 2009 Feb;83(2):257-62. Takaya J, Iharada A, Okihana H, Kaneko K. Down-regulation of hepatic phosphoenolpyruvate carboxykinase expression in magnesium-deficient rats. Magnes Res. 2012 Jul-Sep;25(3):131-9. Nadler JL, Malayan S, Luong H, Shaw S, Natarajan RD, Rude RK. Intracellular free magnesium deficiency plays a key role in increased platelet reactivity in type II diabetes mellitus. Diabetes Care. 1992 Jul;15(7):835-41. Leone N, Courbon D, Ducimetiere P, Zureik M. Zinc, copper, and magnesium and risks for all-cause, cancer, and cardiovascular mortality. Epidemiology. 2006 May;17(3):308-14. Guasch-Ferre M, Bullo M, Estruch R, et al. Dietary magnesium intake is inversely associated with mortality in adults at high cardiovascular disease risk. J Nutr. 2014 Jan;144(1):55-60. Rowe WJ. Correcting magnesium deficiencies may prolong life. Clin Interv Aging. 2012;7:51-4. Sakaguchi Y, Fujii N, Shoji T, Hayashi T, Rakugi H, Isaka Y. Hypomagnesemia is a significant predictor of cardiovascular and non-cardiovascular mortality in patients undergoing hemodialysis. Kidney Int. 2014 Jan;85(1):174-81. Ishimura E, Okuno S, Yamakawa T, Inaba M, Nishizawa Y. Serum magnesium concentration is a significant predictor of mortality in maintenance hemodialysis patients. Magnes Res. 2007 Dec;20(4):237-44. Whang R. Magnesium deficiency: pathogenesis, prevalence, and clinical implications. Am J Med. 1987 Mar 20;82(3a):24-9. Whang R, Hampton EM, Whang DD. Magnesium homeostasis and clinical disorders of magnesium deficiency. Ann Pharmacother. 1994 Feb;28(2):220-6. Whang R. Magnesium deficiency. Causes and clinical implications. Drugs. 1984 Oct;28 Suppl 1:143-50. Bobkowski W, Nowak A, Durlach J. The importance of magnesium status in the pathophysiology of mitral valve prolapse. Magnes Res. 2005 Mar;18(1):35-52. Innerarity S. Hypomagnesemia in acute and chronic illness. Crit Care Nurs Q. 2000 Aug;23(2):1-19. Martinez-Ferrer A, Peris P, Reyes R, Guanabens N. Intake of calcium, magnesium and sodium through water: health implications. Med Clin (Barc). 2008 Nov 15;131(17):641-6. Azoulay A, Garzon P, Eisenberg MJ. Comparison of the mineral content of tap water and bottled waters. J Gen Intern Med. 2001 Mar;16(3):168-75. Cevette MJ, Franz KB, Brey RH, Robinette MS. Influence of dietary magnesium on the amplitude of wave V of the auditory brainstem response. Otolaryngol Head Neck Surg . 1989 Nov;101(5):537-41. Efstratiadis G, Sarigianni M, Gougourelas I. Hypomagnesemia and cardiovascular system. Hippokratia.2006 Oct;10(4):147-52.